A deeper look at the grooves pressed into the 2017 vinyl reissue of the Pack Up The Plantation: Live! 2LP set by Tom Petty and the Heartbreakers. It’s far a far less common occurrence now (when virtually every band in the universe releases a live album and, thanks to digital technology,is able to “fix” every flaw in the show in post-production) but, at one time, the release of a live album meant that the band in question was confident enough in their abilities as performers that they could let the tape roll at a show because they knew that they had their stuff locked down and the crowd at any given show would be very vocal in their appreciation. On one hand, it made for a very easy album to create and, on the other, a live album was a great advertisement in that it illustrated what the live experience was like for those who had never seen the group before. At one time, a live album was a special event like that; records like Double Live Gonzo!, Live At Leeds, At Budakan, No Sleep ‘Til Hammersmith, Rock Of Ages, Get Yer Ya Ya’s Out!, Under A Blood Red Sky and Frampton Comes Alive were classic, unforgettable albums which actually sold better than some of the studio albums that the bands who made them created. 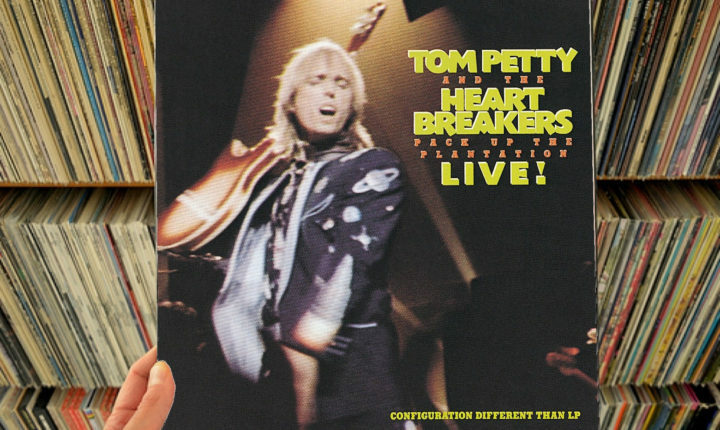 …And right from the moment “So You Want To Be A Rock n’ Roll Star” bursts out to open the A-side of this 2LP set, Tom Petty and the Heartbreakers prove they’re deserving of the save kinds of high praise that those other live albums above were afforded. Right off, Petty is in positively sterling voiceas he croons out lines like, “So you want to be a rock n’ roll star?/ Well, listen now, hear what I say/ Just get an electric guitar/ And take some time and learn how to play”and the backing support given by the Heartbreakersis the stuff that dreams are made of; here, it’s possible to hear the inspirations discovered by figures like Peter Buck (that Rickenbacher and Telecaster tone), The Replacements (that nervous, livewire energy), the homespun heart of acts like Wilco, The Jayhawks, The Hold Steady and pretty much all of the No Depression scene (to name only a few) all fall in line like a call to arms. The reach of Petty’s influence is staggering and obvious in the opening moments of “So You Want To Be A Rock n’ Roll Star” all on its own, but that’s only the beginning. After that start, “Needles and Pins” and “The Waiting” get a true-toned workout before the going begins to resemble a class in “Classic Rock History Making” on the B-side of the disc with takes of “American Girl,” “It Ain’t Nothin’ To Me” and “Rockin’ Around With You.” In each of those cases, the Heartbreakers don’t reach too far outside of the “studio box” for performance magic (read: while the performances are each great, none features much in the way of extended soloing or a whole lot of talk between songs – everything’s pretty “by the book”), but that proves to be of benefit to the record; the lack of variation speaks volumes toward each bandmember’s natural talent and discipline as they make their way along. At each turn, listeners get proof that, yes, Petty can sing like that every night and the band is that tight. Hearing those proofs here is just awesome. The second vinyl plate of the set keeps the tenor and tempo set by its predecessor but does surpass it on occasion (the performance of “Refugee” and “You Got Lucky” are definitive ones) ad even manages to make a couple of lesser songs (like “Rebels” and “I Need To Know”) shine under the bright lights of the live stage by simply adding that ever-so-important extra ounce of heart and reckless abandon. In this case, that means not holding back at all in the name of self-preservation. The band leaves everything in them to give on stage for their audience and, while there isn’t a tremendous amount of crowd noise on this live album (exception being the “You’re gonna put me out of a job” moment in “Breakdown,” when the crowd’s singing challenges that of Petty for volume) there are moments which are perfectly inimitable because the energy of the moment is all of its own (check out the cover of “Shout” for proof). The new, fortieth anniversary vinyl reissue of Pack Up The Plantation is out now. Buy it here on Amazon.